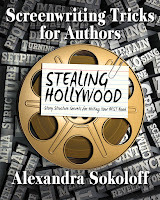 Alexandra Sokoloff: How to write a novel - from start to finish. "What process do you follow (from initial idea, to final draft) when writing a novel? If I’m honest, writing 80,000 – 120,000 words that connect together and keep the reader interested seems like a mammoth slog right now. Any advice you can give me, to make the exciting prospect seem less daunting, would be gratefully appreciated." And yet, the idea of trying to answer that as a fairly coherent, step-by-step process is an interesting challenge that I might actually be up for, especially because I’ve written about a lot of it before, it’s just a question of putting answers in a different kind of order and filling in some gaps. And it’s still technically a New Year, not a bad time to do some massive, constructive organization of this blog. So let’s do it. From getting an idea, to picking the right idea, to getting a publishing deal. In order, in detail, and together. I need it just as much as anyone, right now. And we'll start at the very beginning, with generating that perfect idea - because this is a part of the writing process that people rarely spend enough time on, and is CRUCIAL if you want to develop a riveting book, even more crucial if you have any hope of being paid to write. You are going to spend TWO YEARS of your life, minimum, on this book (and that's truly a minimum). Don't you think you better be sure this is the right book to write before you start? And, oh yeah - the same process is going to apply to scripts, too, and I'll make sure to differentiate when it's important. And even beyond that – studying movies is fun, and fun is something writers just don’t let themselves have enough of. If you train yourself to view movies looking for for some of these structural elements I’m going to be talking about, then every time you go to the movies or watch something on television, you’re actually honing your craft (even on a date or while spending quality time with your loved ones! ), and after a while you won’t even notice you’re doing it. When the work is play, you’ve got the best of all possible worlds. So go make your lists, and I will, too, and let’s talk about some of your results this week. I want to lay down and rest just thinking about the MAMMOTH job you're about to do. I've been asked a few times myself, and managed a coherent "Huh?" And to think, I've written six and have number seven percolating in my head. Kudos to you, Alex. It's a noble and inspiring thing you do, and I'm telling anyone who'll listen. Always helpful stuff Alex. BTW, the workbook has been very helpful to me. But the one thing I've learned from reading your blog as well as other ones on the craft at writing is that there really isn't one absolute definitive process to writing a novel (or screenplay or play). And I guess that's true of anything really. I don't think there's a definitive way of doing anything. There are guides to help along the way, but eventually it's all up to the individual on how they want to get their end result. Reading the words "two years of your life MINIMUM"--no matter how true I know them to be, makes me want to go back to my short stories and NEVER leave. Then I remember that there is coffee and friends and really supportive blogs (like yours!) and feel like I can get back to work. Thank you. Tina, good luck with the queries! Joylene, maybe it's mammoth, but I have to blog about something, right? Maybe I'm just stir crazy. This snow thing is surreal. I didn't know you'd written SIX - good for you! But for anyone who might be floundering, maybe this will help. Wendy, yes, I know, daunting. Like today. All I have to do is write 5 pages. They don't even have to be good. I just have to write them. Just wanted to chime in and let you know that I found your blog about a month ago and it has been extremely beneficial to the graphic novel project I am currently working on (collaborating with an artist friend). So, thank you for all of the effort you have put into your blog. Consider me a regular from here on out. While piecing together the structure for my current project, my active brain started spitting out unrelated idea fragments that, until now, didn’t have a home. So your post is very timely (in my case anyway). So, I’ll start my list, although it may only be a list of 1 or 2 ideas at the moment. Looking forward to future mammoth blog posts, haha. You sum it all up so concisely, as always. I wish my own working processes were as orderly. I'm all fragments, bits'n'pieces and bad comparisons whenever someone asks me about my way of doing things. Anyway, habitual self-deprecation aside, I've been through the slog five times now. I'm now researching for numbers six, seven and eight. To anyone feeling daunted, I'd say we all feel like that every single time we're starting anew. Awooga-awooga! Abandon ship! The engines, they cannae take the strain, cap'n! It's always this big and this scary a prospect to sit down, write and write and write that little bit more even though it's 3am and the sun is coming up outside. The reason to stick it out is the ideas, the bits of dialogue and, in my case, the stomach-churning imagery. Whatever refuses to finish the drinks and leave quietly out the back. The stuff that's too good to lose. It never gets easier but, once you're done, the sense of satisfaction you feel is immeasurable. Then you just need to sit right back down and start the next one. Greg, I just love your writing style - always makes me laugh. And you couldn't be more right about everything. It's always terrifying. It's always painful. It's always worth it. I want to say I have found your blog one of the most helpful ones out there. Your ideas and steps are so easy to understand and follow. I look forward to following this series of posts. 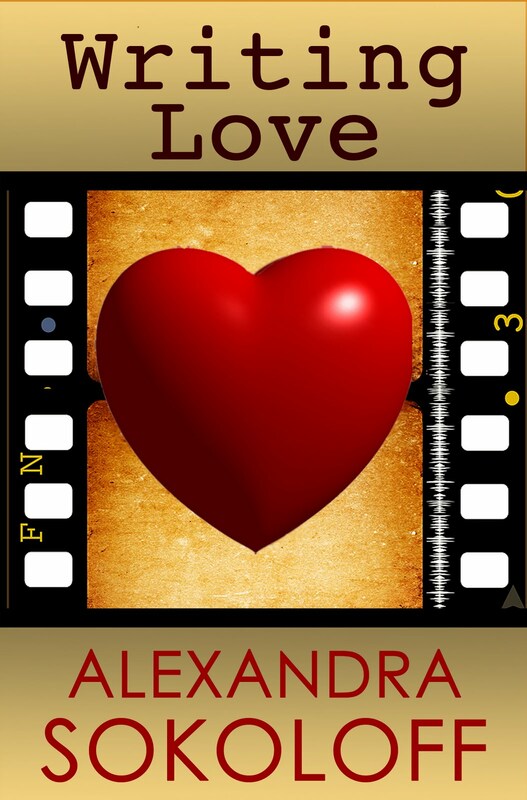 Excellent and very informative, Alexandra. I'm starting my lists now. This is going to be fun! I want to test my ideas against your advice to see if I am on the right track with my new book. It feels right, but I can't say I absolutely know what I'm doing, so more information and strategies will be welcome. V.L., feeling right is the most important thing. A teacher of mine is always saying "Follow your first thought." The problem is, most of us have that brilliant first thought and then immediately lose it in the flurry of garbage and self-doubt that follows. You've mentioned Dorothy's character arc in previous posts and I'm glad you've expanded it. It helps me see that my character's story arc is not at all similar. Maybe she's more like Jake in China Town. So I'm curious, how do I figure out what genre I've written to do my movie/book breakdown list. The book doesn't fit anywhere (genre wise) but I think it makes sense. I created and analyzed my books I'd like to write and fate seems to be a common theme, although in my MS it's coupled with ambivalence. I also have a 'save the cat' beginning to my MS. I think I like dark, tragic storylines. 1. Wuthering Heights, 2. Les Miserables, 3. Gone With The Wind, 4. Perfume, 5. Sense and Sensability, 6. Flowers In The Attic? I just loved this. Thank you! Debbie, you definitely need to know what genre you're working in. Very few people just make a whole new genre up. I was thinking, reading your post, that I would have to break down and do a blog on genre, but the truth is there is so much material out there you can read on it right now that will be a lot more encompassing than what I can do at the moment, given my book deadline. Then revise your list of movies and books to include stories in that genre and let me know what you come up with. Also ask yourself - "What am I trying to make my reader FEEL?" Horror? Thrills? The glow of romance? The adrenaline and exhilaration of adventure? That's sometimes the biggest clue to what genre you're in. But you MUST understand what genre you're writing. And you MUST deliver on the implicit promise that genre makes to the reader or audience. When are we going to have the ebook edition of "Screenwriting Tricks For Authors?"